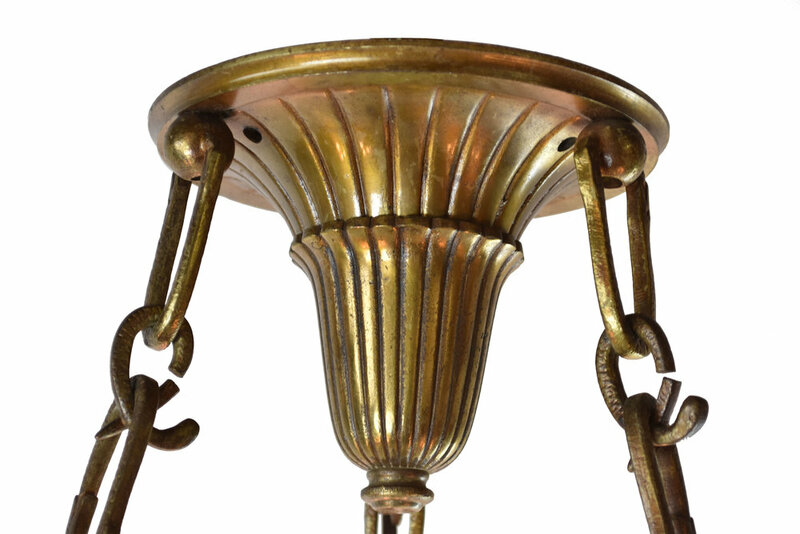 Chandelier; 27" diameter x 36" overall height. Three 9” men, three 12” arm with 3 bearded faces holding three light each. 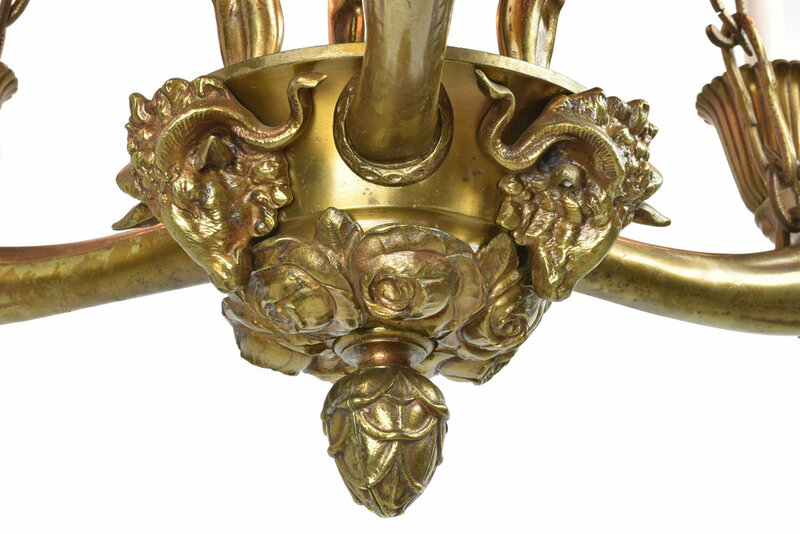 The detail of this cast brass chandelier is incredible. 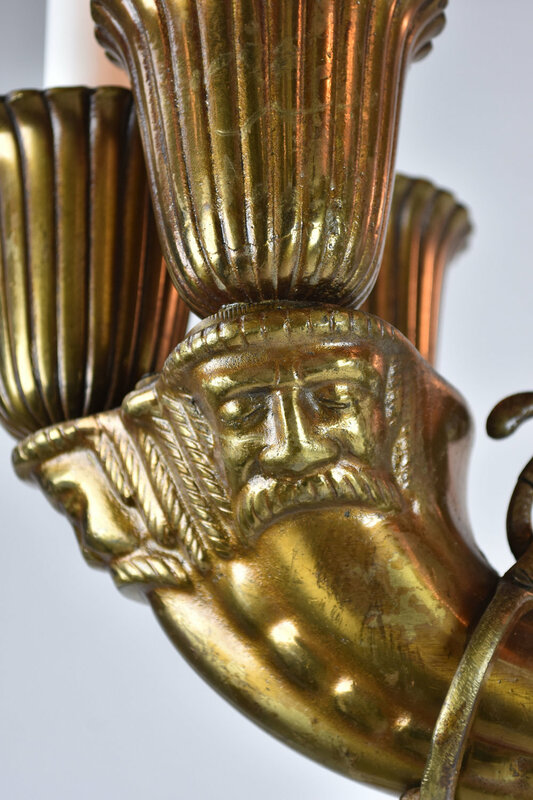 The most obvious, the three men holding up the center part of the chandelier. 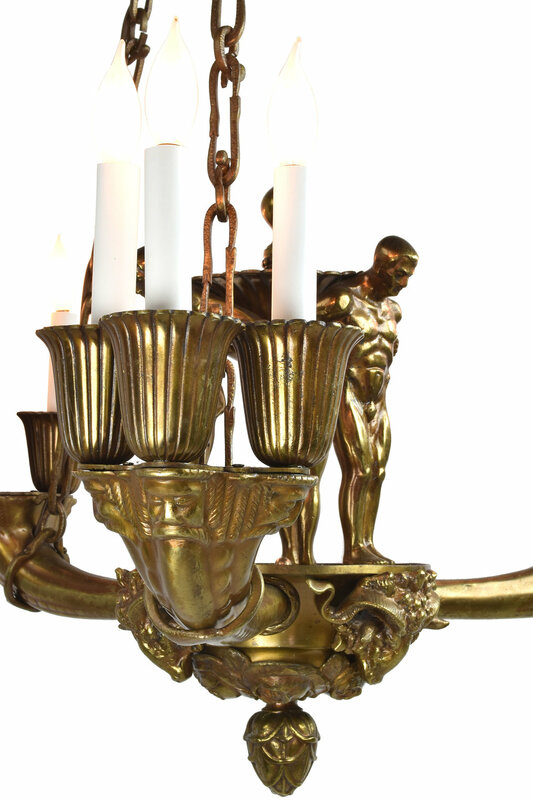 Each muscle is shown in tension, along with the expressions on each of the men’s faces, with the weight of the chandelier. Just underneath the three sets of three candelabras mustachioed men sleep. 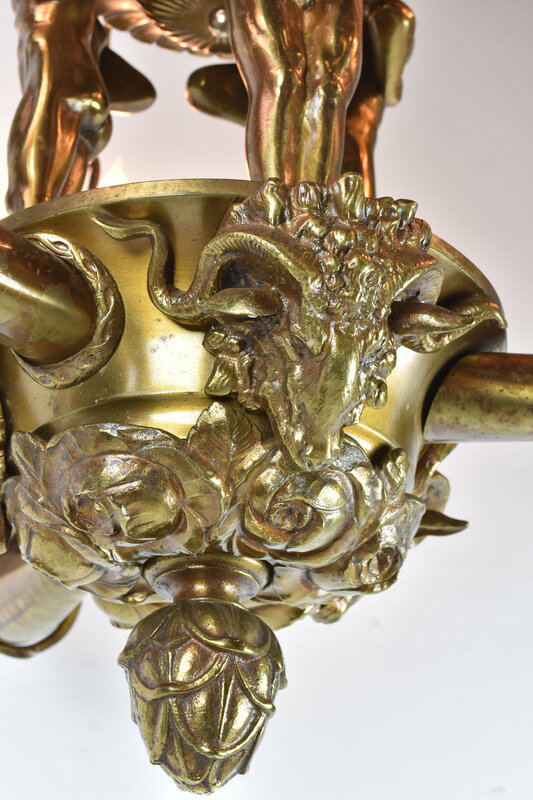 But underneath the three men are three rams heads, roses and the bottom pendant- an artichoke. 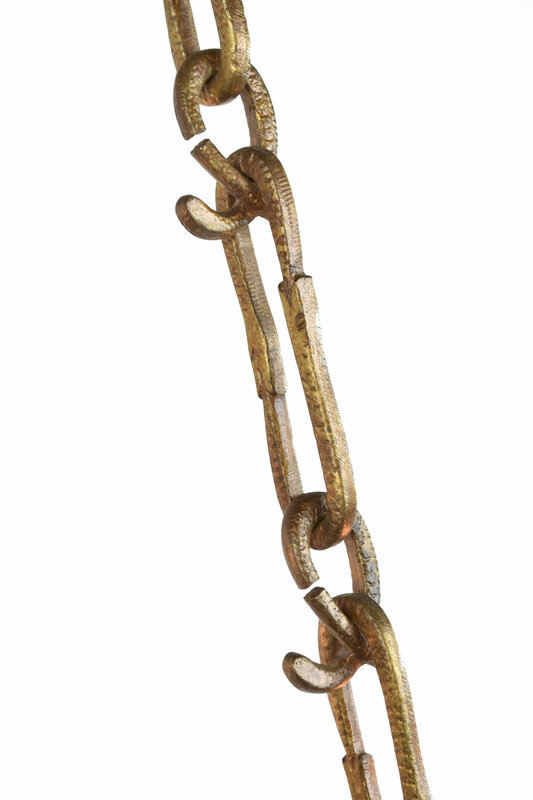 Look closely at the chains that hold up this amazing light and you will find many serpents, each chain is a single or pair ouroboros interlocking with the next all the way down to the ring around each arm. 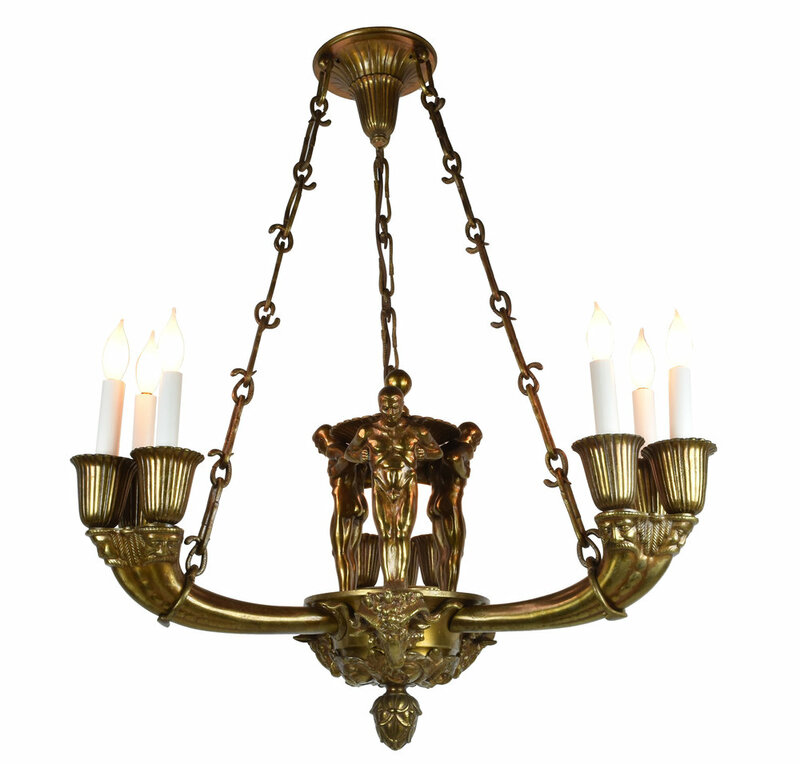 These sculpture like features with their simple flowing but linear structure this chandelier shows true craftsmanship, beautifully worn with time. 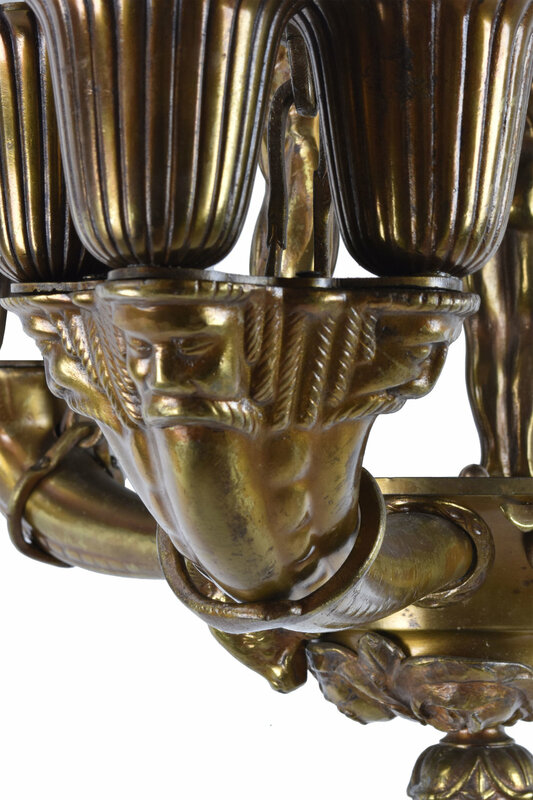 This chandelier is reminiscent of sculptor Paul Manship who lived in a time of remarkable progress and change. His most notable works, however, drew heavily on influences from the classical past. As Manship traversed Europe as a young man in 1909, he developed an appreciation for the fluidity and rhythm found in ancient Greek statues. 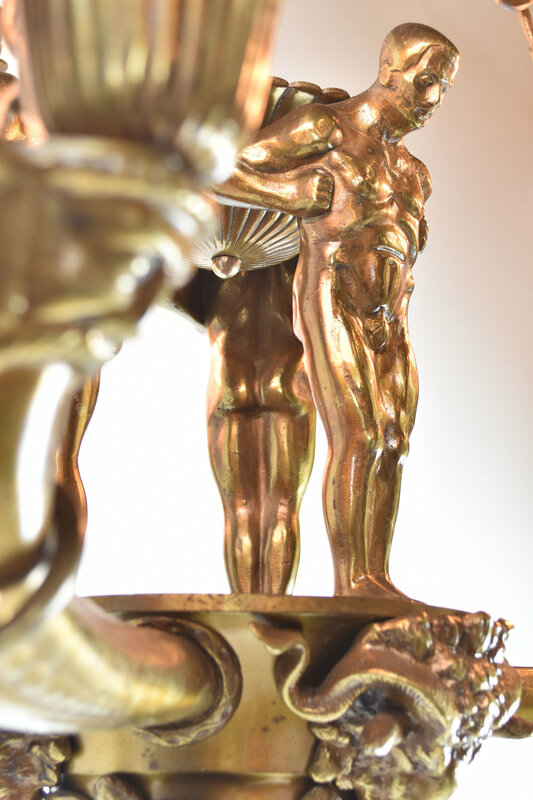 Later, the subjects of Manship's sculptures often centered around Greek and Roman mythology. 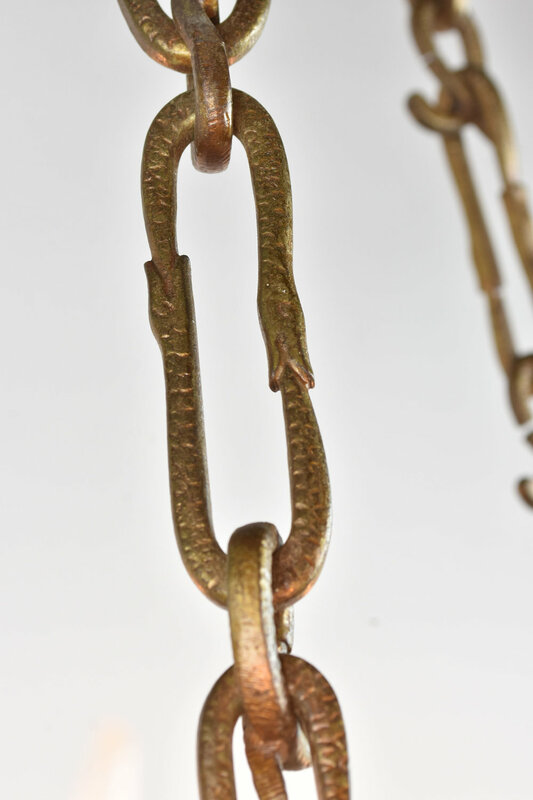 In a nod to the archaic style Manship admired, his sculptures focused on simplified and stylized forms, a harsh contrast to the Beaux-Arts classical realism of the time. 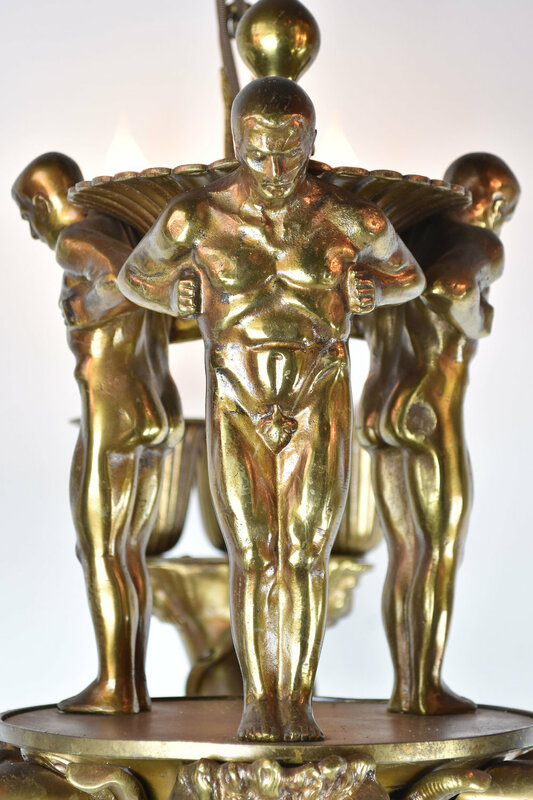 While this light is not a Paul Manship the influence is apparent. Fright shipping within the continental United States. International shipping also available. Please contact us for a quote. Be sure to include the Product ID (AA#48070) when making your offer.